A Texan relocated to the Midwest, Laura Stennett paints contemporary landscapes drawn from her memories and explorations in the vast landscapes of Texas, Western U.S. and the Midwest. With the use of liquid acrylics, pen and ink, and other mediums, Stennett tells the stories hidden by nature through abstraction and detailed mark making. Laura Stennett was born and raised in Texas. 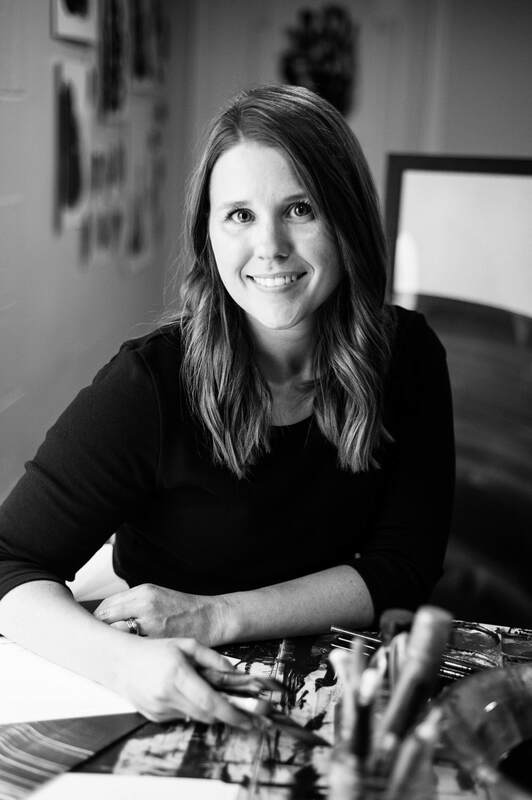 She received a Bachelors of Fine Arts in painting and a minor in art history from Texas Tech University and spent several years working for the university after graduation. Stennett is now located in Indiana pursuing her career as an artist.